Jason Rubin, the president of beleaguered publisher THQ, has penned a plain and, for the average consumer/fan, incredibly helpful summary of just what happened to his company today. The publisher behind games like Saints Row and Homefront has filed for bankruptcy. While the word "bankruptcy" is enough to cause alarm, as it should, Rubin reminds us that along with that move, the company has also been sold (tentatively, the deal won't be done for 30 days) to a company that's paying all the bills, will ensure THQ's entire slate of products (both announced and unannounced) will hit the market, and will help fund its endeavours in the future. Whatever happens, the teams and products look likely to end up together and in good hands. That means you can still pre-order Metro: Last Light, Company of Heroes 2, and South Park: The Stick of Truth. Our teams are still working on those titles as you read this, and all other rumored titles, like the fourth Saints Row, the Homefront sequel, and a lot more are also still in the works. The "a lot more" bit shows the company is in good enough shape to have projects in the pipeline. You could even wager that one or more these products, like Patrice Desilet's 1666, was looking so good that it helped broker the deal. 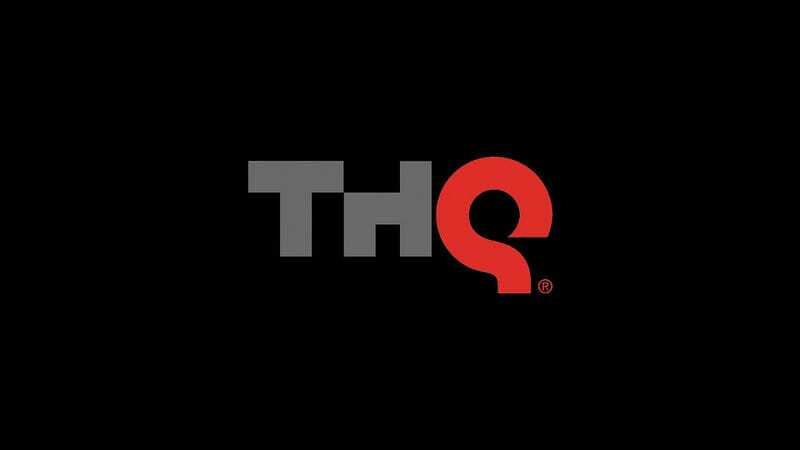 Today THQ announced that it has secured an investor, a private equity firm named Clearlake Capital Group, who is interested in purchasing most of what you think makes up THQ: the teams that make the games (Relic, THQ Montreal, Vigil and Volition), THQ's Intellectual Property (titles, source code, etc. ), THQ's contracts (like the ones with Crytek, South Park Digital Studios, 4A games, Obsidian, and Turtle Rock) and the support staff that are required to help the teams succeed. In fact, Clearlake is even providing the company the money it needs to keep working on the products as the process plays itself out. And importantly, when the purchase is complete, Clearlake has committed to invest additional ample capital to let us finish the games we are making and continue making games going forward. In short, they are investing in a new start for our company. The sale needs to be completed through a Chapter 11 proceeding of the Bankruptcy code, which we filed today. Given the intense speculation that we have experienced in recent weeks and months, this news probably isn't that surprising. But what does "Chapter 11" mean? What will happen to the games you are expecting? The series you love? And what about the people and teams that make them? Chapter 11 is a safety net for U.S. companies. American Airlines is currently in Chapter 11 restructuring, yet I flew back and forth on that airline when I visited Volition two weeks ago. Donald Trump and his companies have been in Chapter 11 four times. You can add to that list household names such as Macy's, Eddie Bauer, the Chicago Cubs, Chrysler, Delta Airlines, General Motors, the Pittsburgh Penguins, Marvel Studios, and MGM, among many others. MGM filed Chapter 11 two years ago, and this year it released "Skyfall" and "The Hobbit," two of the biggest titles of the year. That's what I mean when I say new start! Our Chapter 11 process allows for other bidders to make competing offers for THQ. So while we are extremely excited about the Clearlake opportunity, we won't be able to say that the deal is done for a month or so. Rest assured that the goal throughout the sale process has been to preserve our teams and our products. So no matter what the outcome in 30 days, as long as we have accomplished this goal, I will be satisfied. Finally, you might be asking, why would THQ file for Chapter 11 right before the holiday season? Admittedly, the timing is unfortunate. But as we announced a few weeks ago, we have a January 15 deadline approaching for our bank funding. So if you work backwards to allow the necessary time to complete a sale, you end up at this week. Since all of THQ's worldwide employees are off for a week and a half of paid vacation starting Friday for the holidays and will return to work on January 2nd, it hardly matters anyway. So THQ made headlines today—and I am sure there will be tons of click-grabbing headlines over the next month or so. But what matters to us is not what is happening to THQ right now, but what the company and its teams will make of ourselves after we complete the sale. In short, the teams will be unburdened by the past and able to focus on what they should be focusing on—Making great games. I'm excited about the future and hope to have more to report soon. —Jason Rubin, President of THQ Inc.